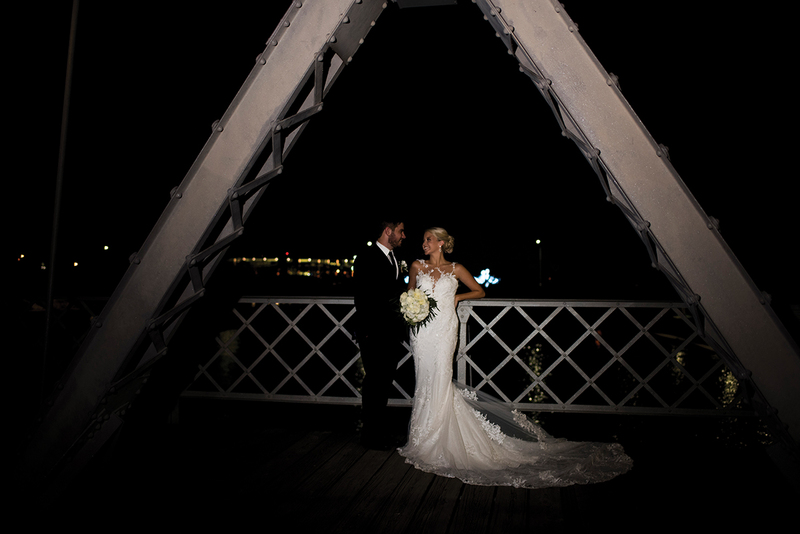 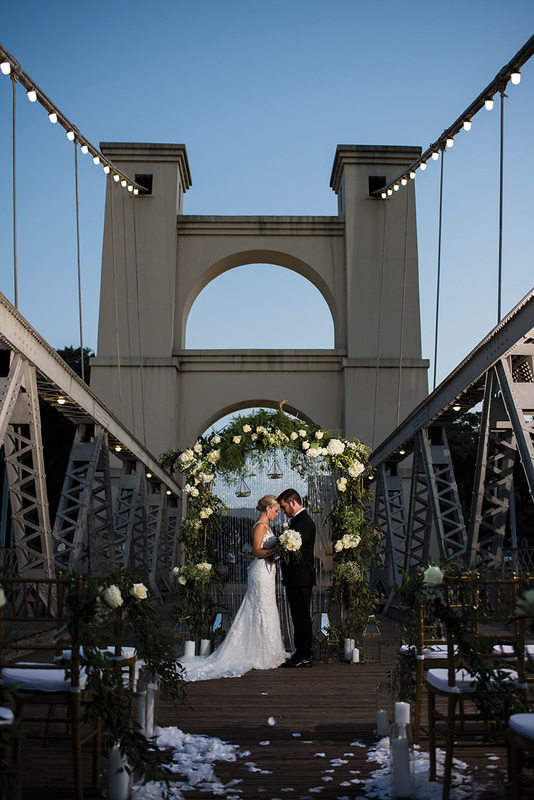 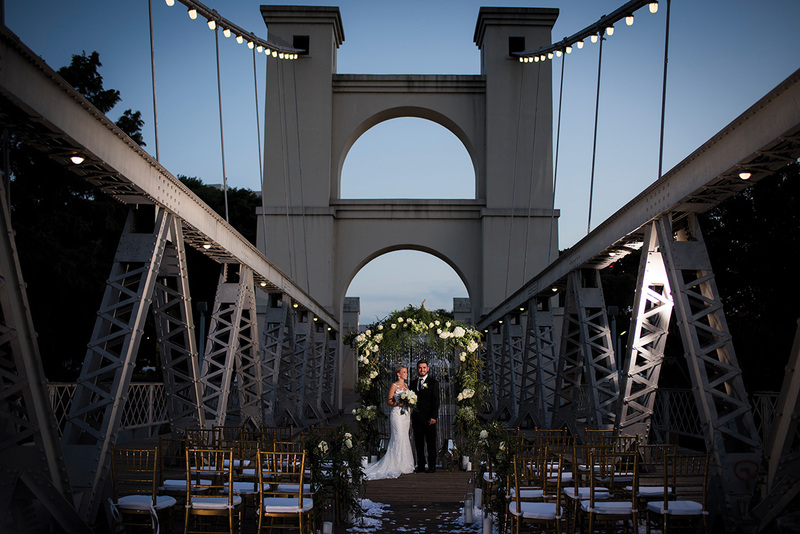 As dusk turned to evening over the city, our bride and groom posed under a rose and hydrangea-covered archway on the historic Waco Suspension Bridge at our latest styled shoot. 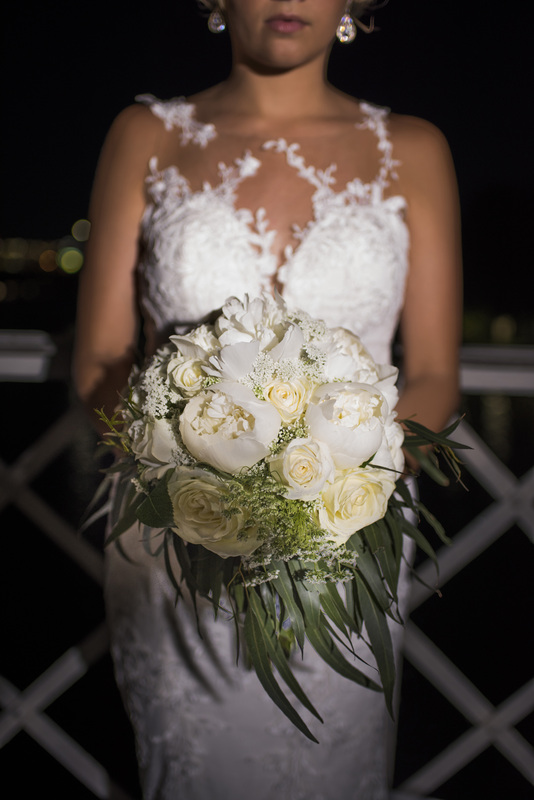 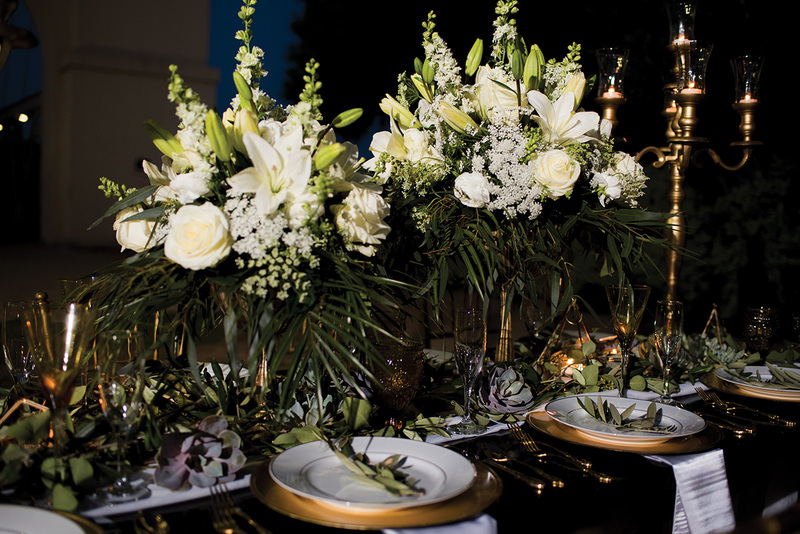 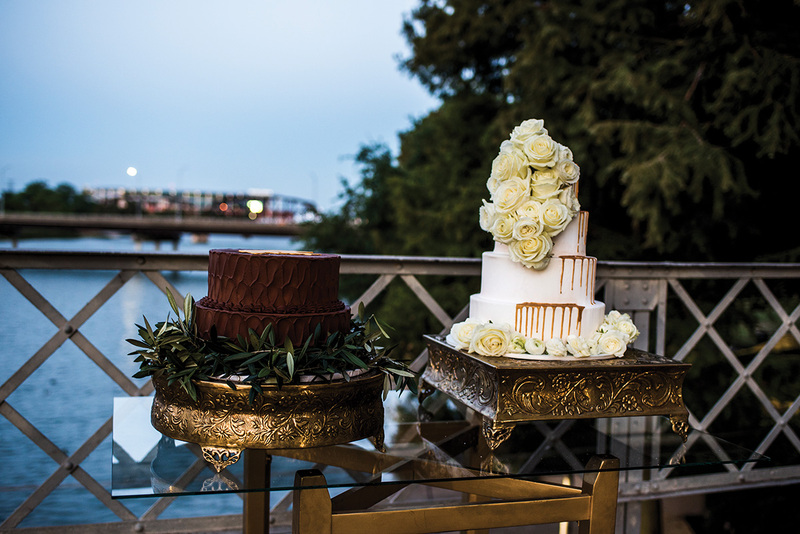 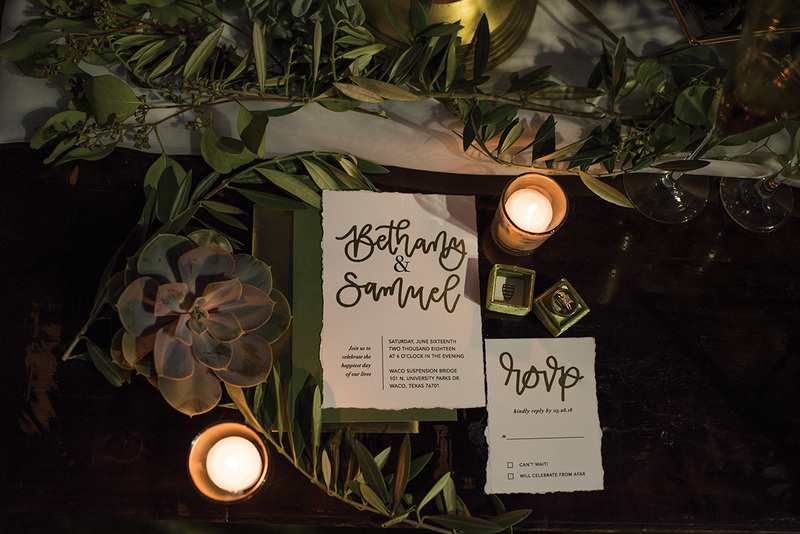 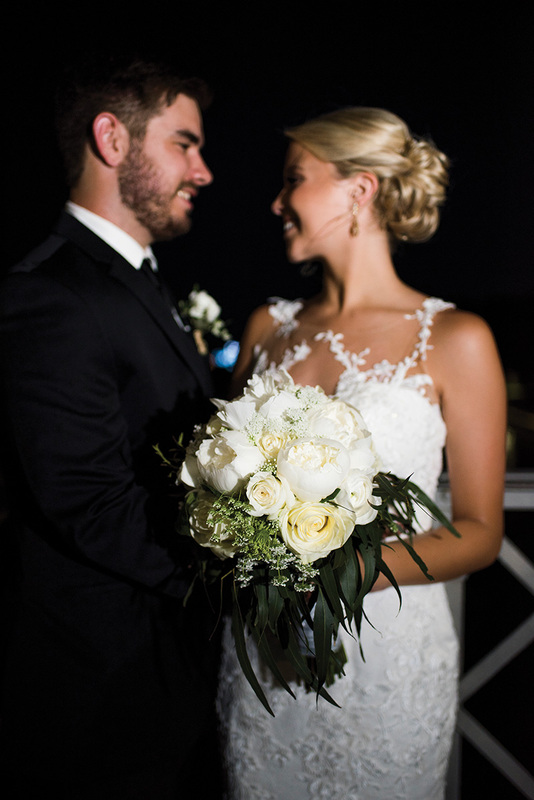 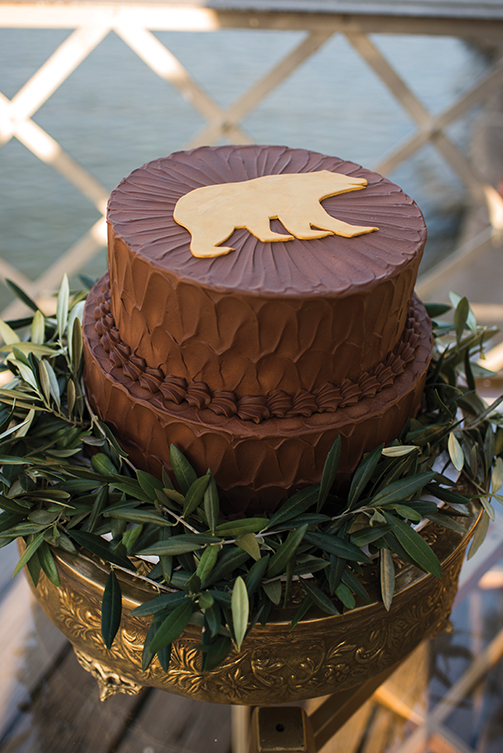 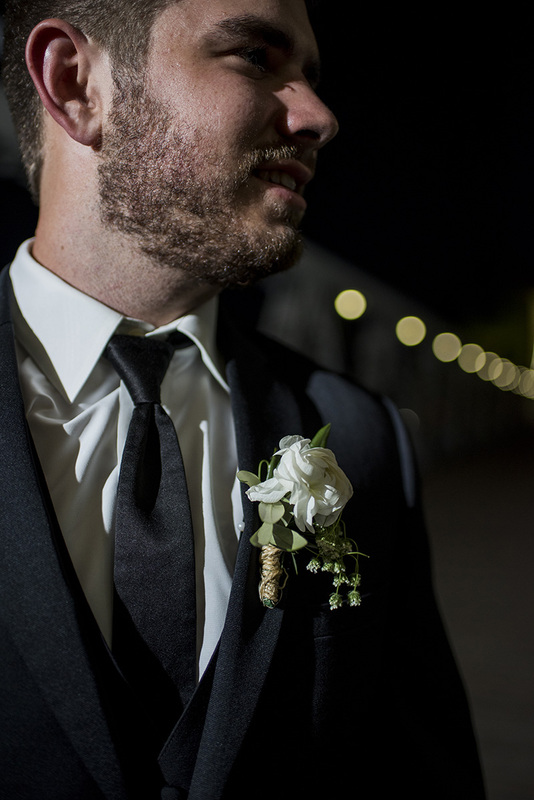 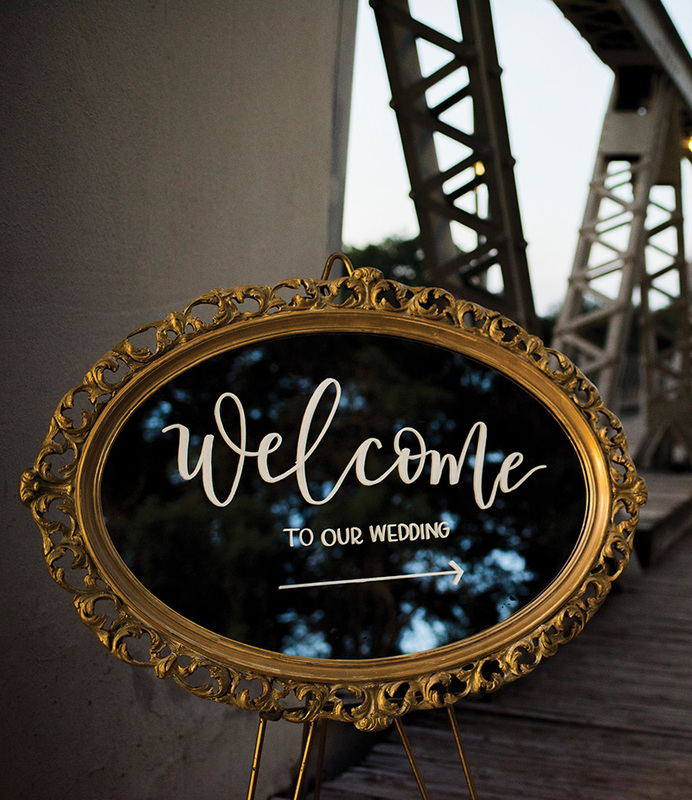 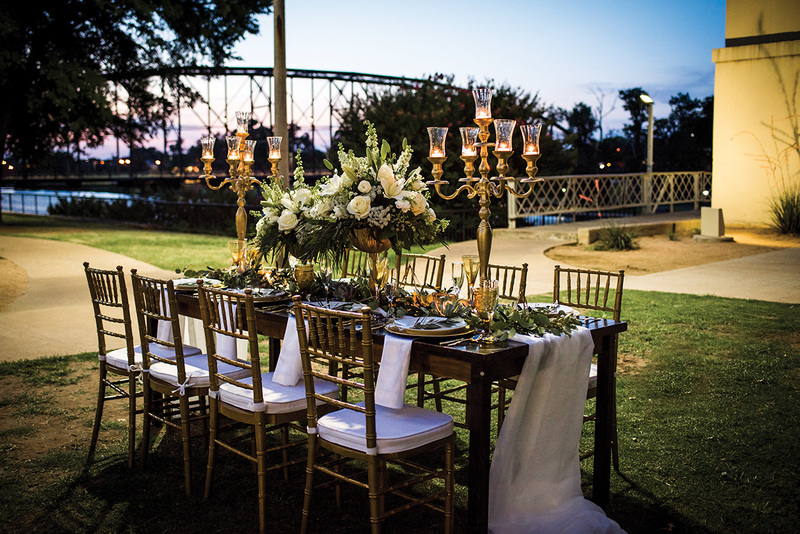 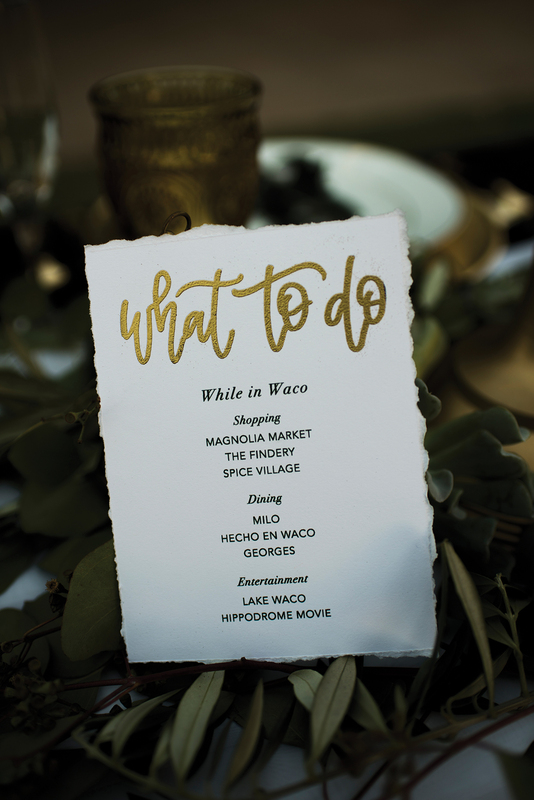 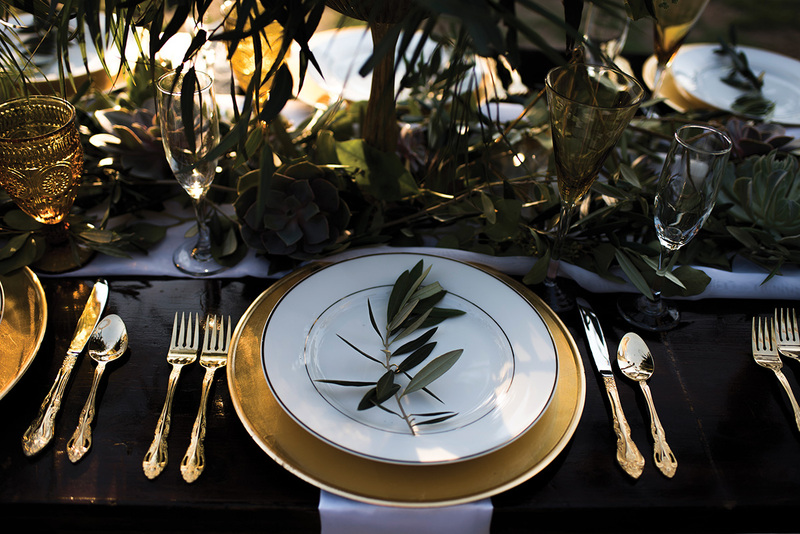 The bride’s flowing white dress stood out among the steel beams and gold Chivari chairs, and as light danced across the top of the water, it illuminated the Baylor Bear-inspired groom’s cake and the couple’s caramel-dripped confection. 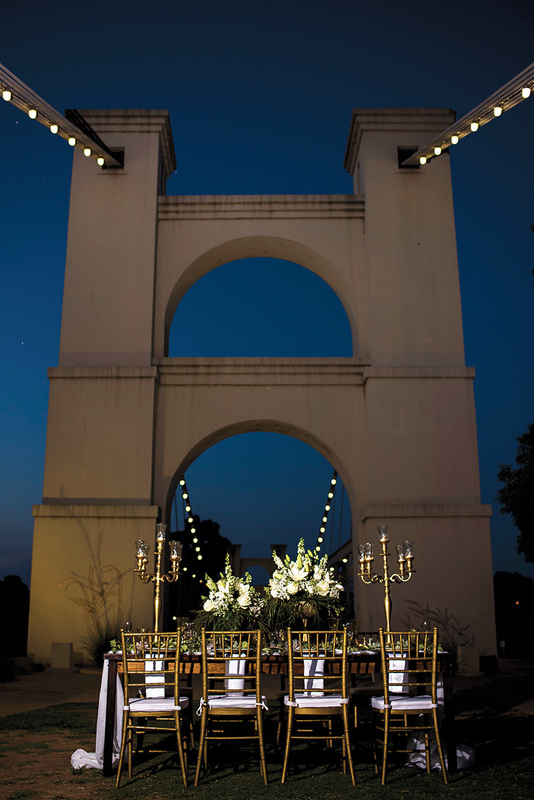 Tea lights and candelabras created romantic ambiance in the outdoor reception area as the sun finally disappeared over the horizon.